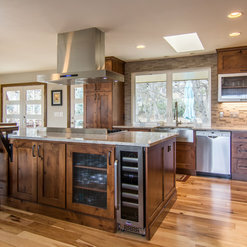 Aspens Kitchens Inc. is a Kitchen and Bath Design and Remodeling Firm based in Colorado Springs, Colorado and serving all of Southern Colorado. 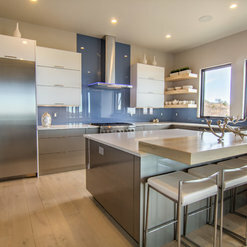 Our talented and experienced Design staff can create complete design concepts for your Kitchen, Bath, Wet Bar, Laundry Room, Office, Fireplace, and much more. As licensed and insured General Contractors, we also can ensure that the project is handled accurately from Design through Installation. 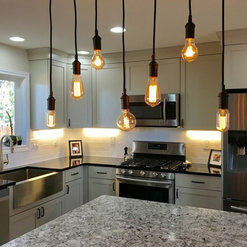 21 Projects for Aspen Kitchens Inc.
7 Reviews for Aspen Kitchens Inc.
Aspen Kitchens completed a renovation of our kitchen and master bath in 2018 that has totally transformed our home. They made the whole process from design and 3D visualization through demolition, construction and follow-up seamless and frankly, a joy. 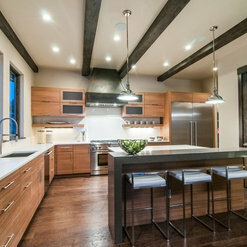 Communication in a job this size is key to success and Aspen Kitchens excelled in this area. We were very clear from the start what was to be done, what the expected costs would be and always informed of when people would be in the house and what they would be doing. 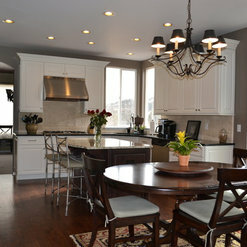 It was a completely turnkey job - out with the old and in with a beautiful finished product. 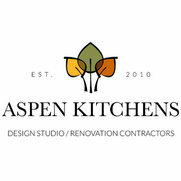 We do not hesitate to recommend the entire Aspen team for any renovation work you might want done around your home. Details of the process are included below if you want further information or are considering a renovation project: Design - Jacquelyn worked closely with us to translate our desired outcome into a workable design. She listened closely to us and spent time in our home to get a sense of our style and our ultimate vision. Rather than sell us on the latest design fad, Jacquelyn created a timeless design in line with our budget and our taste that was so much more than our limited vision conceived. The 3D renderings were very helpful in the design process to bring our decisions into sharp focus before we moved forward. 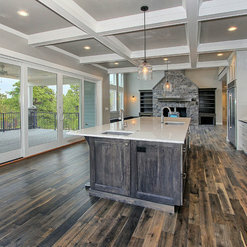 Construction - Aspens Kitchens construction crew and extensive network of outstanding subcontractors delivered top quality workmanship with a smile. This job involved everything - plumbing, electrical, flooring, painting, appliances, countertops, etc. The craftsmen that worked our project were totally professional, polite and very respectful. We had regular contact with the job foreman - daily during the busiest times and never less than several times a week. We always felt we knew what was going on - no surprises! The great thing was they stayed on the job until the work was complete - no disappearing for weeks on end! Follow-up - As with any complicated job there were things that needed to be addressed after the construction was completed. Andrew has been extremely responsive to taking care of all items that needed to be tweaked. They made things right (the few things there were) without a fight or negotiation. They remained totally committed to top quality work. One of the best remodeling experiences we've ever had! The entire Aspen Kitchens crew was great. From design to final walk through, they were pros! Amazing response time to any questions and concerns that we had. Workmanship was better than anything we expected. Highly recommend for your remodel project. 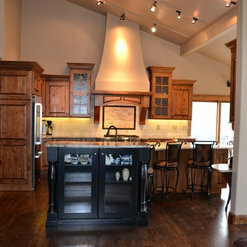 We, at The Glaziers, have been doing work with Aspen Kitchens for years. Through the many changes in business, clients needs, and fads, they always adapt. They have always put the customer's needs first and do the project the right way. No corners cut. I admire that and it's a pleasure doing work with a company with such ethics. I have been an interior designer for 28 years, and Anna Fisher is the most creative, insightful and cooperative kitchen designer that I have known. We have worked on two projects together. One was a high end mid-century home and the other was a more moderately priced mountain modern home. She was very attentive to our clients and enthusiastic regarding concepts from the architect and me.. She is a committed team player. Her drawings are accurate, lovely, her turn around time was expedient, and her pricing was very reasonable. I have the highest respect for Anna! 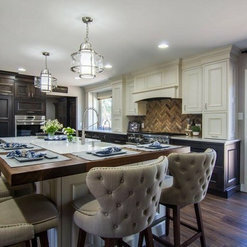 I have my dream kitchen. 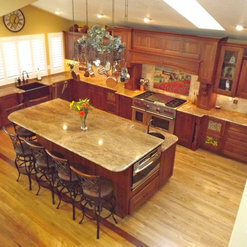 The entire Aspen Kitchen team were very professional and a lot of fun to work with. We had Aspen Kitchens remodel our a master bath. The staff was very respectful of our ideas for the design and came up with ones we had not even thought of. They were professionals, always showing up on time and completing the work within our projected budget. 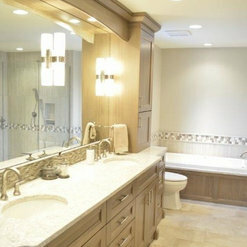 The staff is friendly and very knowledgeable about new materials that made the bathroom functional and beautiful. We highly recommend Aspen Kitchens and plan to use them in the near future for another barroom remodel. Aspen Kitchens renovated our kitchen. They did a fabulous job. It turned out even better than I imagined and they were easy to work with. I worked together closely with Jacqueline on the design and she was able to work with all my ideas. The install was awesome as well. I knew exactly when and who was going to show up every day. They kept me informed on the progress and were prompt and efficient. I never worried that things would be wrong if I needed to leave the house. I would certainly work with them again and my dream kitchen met every hope. 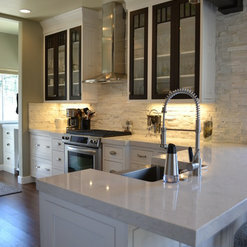 1 Ideabook for Aspen Kitchens Inc. Commented: Love the Vanity, Where is it from?Vanity was created with Crystal Cabinetry. Commented: Size of corner sink cabinet?If your space allows you to move the dishwasher further down it would be better. It can get tight with the DW door open and you are in front of the sink. Commented: CountertopsThis is Cambira quartz product.